Download and install FireFox browser on kindle fire hd , kindle fire hdx 8.9. FireFox is overall a good option as compare to kindle silk browser. You can speed up slik browser but FireFox on kindle is just awesome. Before Starting, Let’s enable install from unknown source option. Go to Mozilla through any kindle fire browser that you have. Link to Mozilla. 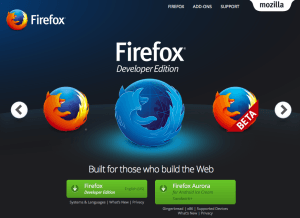 Download the Firefox Aurora for android. Pop-up will open that says: “This type of file can harm your device. Do you want to keep fennec-*******.multi.android-arm.apk anyway . Tap OK.
Download will start and after it is done, Swipe the menu down from the top and tap on the download to install. Tap Ok Ok Ok for any other pop-up’s that come.